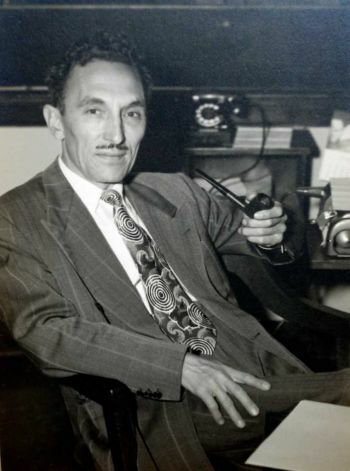 "Educating, Engaging, Empowering and Uniting Latinos"
The name George I. Sanchez has been celebrated for years among Mexican Americans in Texas and California. A son of an Arizona miner, the Albuquerque-born Sanchez worked his way out of poverty as a rural public school teacher in New Mexico to become a pioneer scholar and education activist. His 1940 classic book “Forgotten People” brought attention to the plight of poor Mexican Americans in Taos. His writings on racial segregation attracted the attention of Thurgood Marshall, the lead NAACP attorney in the landmark Brown v. Board of Education case and later a U.S. Supreme Court justice. But while a dozen or so schools in Texas and California are named in honor of Sanchez – including the School of Education building at the University of Texas where he taught for many years – not a single school in New Mexico bears his name. Few New Mexico educators or activists know much about him, according to historians and educators. No plaque exists to show his birthplace or the school where Sanchez taught. He is not listed among the state’s notable figures in New Mexico Centennial guidebooks. In a state obsessed with its Hispanic heritage, its most celebrated Latino civil rights leader and “dean of Mexican American studies,” ironically, is seldom mentioned. His political fallout with state lawmakers in the 1930s over education reform and a divorce with his first wife, Virginia Romero, who was from a politically connected New Mexican family, diminished his stature at the time. Forty years after his death, few memories of him remain. He’s a forgotten man for a forgotten people,” said his granddaughter Cindy Kennedy, 48, a Santa Fe teacher. Sanchez developed his theories on school inequalities using New Mexico’s Hispanic and Navajo populations as examples. He argued that bilingual students were discriminated against by monolingual school systems and testified in landmark court cases about the negative effects of segregation and IQ testing on Hispanic, American Indian and black children. That work seldom comes up in present-day discussions about education reform in the state. 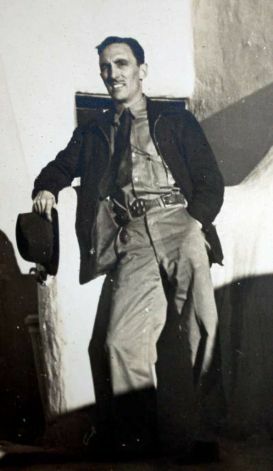 Born in Albuquerque in 1906, Sanchez became a public school teacher at a small rural school in Yrisarri, N.M. just outside of Albuquerque at the age of 16. Within six years, he became superintendent of the Bernalillo County school district while taking classes at the University of New Mexico. It was this teaching experience among the children of poor Hispanic ranchers that he would later say sparked his mission to reform the state’s educational system, particularly IQ testing of Hispanics and American Indians, which he viewed as racial bias. Eventually, Sanchez became what would be equivalent to the state’s secretary of education thanks to a grant from the Rockefeller Foundation while he also finished his Ph.D. at the University of California, Berkeley, said Blanton. But Sanchez clashed with the state’s governor for pushing a state equalization funding formula for schools and came under fire from some lawmakers for helping with a University of New Mexico professor’s survey on racial attitudes in schools, said Blanton. The highly publicized fights resulted in the state opting not to fund a Department of Education, ultimately leaving Sanchez without a job. “He was a boy genius but was damaged goods,” said Blanton. Thanks to a Carnegie commission to UNM to study the education and economic conditions of the state’s Spanish-speaking population, Sanchez wrote “Forgotten People.” It didn’t romanticize New Mexico, but rather focused on a population that was slowly being pushed aside by discrimination. This undated image provided by Cynthia Kennedy/AP shows pioneer Mexican American educator and activist George I. Sanchez sitting in one of his offices in N.M., before his days as a well-known advocate in Texas and California. The book drew attention from the University of Texas, which eventually offered Sanchez a job. 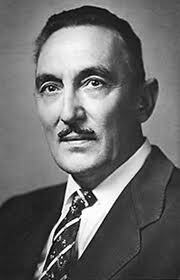 There, he wrote other books, became a national president of the League of United Latin American Citizens and corresponded with Marshall on desegregation strategy. Sanchez’s writings would be used in a number of desegregation cases leading up to the landmark Brown v. Board of Education case which would legally end “separate but equal” in public education. He died in 1972. Cynthia E. Orozco, a history professor at Eastern New Mexico University, said Sanchez is not well known in New Mexico because historians haven’t paid too much attention to the state’s 20th century history, focusing instead on its Spanish colonial heritage. “Hispanics want to take pride in their heritage and that’s the least controversial option,” said Orozco. Moises Venegas, a retired educator in Albuquerque, said bringing up Sanchez also brings up painful, unfinished business in New Mexico – namely, that of educating the state’s poor Latino population. However, Greg Kennedy, Cynthia’s husband, and a pastor at St. John’s United Methodist Church in Santa Fe, said it would be fitting if New Mexico Gov. Susana Martinez, who was born in Texas, is the one to finally honor the New Mexico-born civil rights leader. “That would be the ultimate,” he said. At George I. Sanchez Elementary in Houston, Texas, the school has a portrait of Sanchez hanging in its hallway and a few newspaper articles on the educator behind a glass case. Principal Jesus Herrera said he believes Sanchez would be proud of his school since most of the students are immigrants from Mexico and the schools ranks high in academic achievement. Yet, Herrera was surprised to discover that Sanchez was not well-known in his home state of New Mexico. SUBSCRIBE to The Hispanic Blog to stay on top of the latest latino news, politics and entertainment! If you have any questions, concerns or simply would like to get a quote on my Marketing, Public Relations, Social Media and/or Events services, please feel free to contact me at thehispanicblog@me.com. God Bless and make it a fabulous day! Click on the map to access your state election websites, which include voter guides, registration information and deadlines, absentee and early voting dates, provisional voting information and polling place hours and locations. Many state and local election offices also have social media sites.